It doesn’t matter how “compatible” you think you are. Differences will arise sooner than later. The important thing is how you manage those differences and what you do with them (how you take advantage of them and turn them into something beautiful). My husband and I have been married for over 2 years and differences have surely come up in all senses. To start with, we face the first evident difference: He’s a man and I’m a woman …that’s the problem, the opposites attract…but don’t forget they’re still OPPOSITES. Second, my husband and I were raised in totally different backgrounds: he comes from a very traditional humble African family and I come from a very traditional Mexican Family. And though our cultures share lots of similarities, they are still quite different in other aspects. The fact of being an interracial couple has put also a bit more pressure on us. Not a bad one, but where we’ve lived and where we come from is not that “common”. We do have different perspectives on church, family (extended) and raising children (because of our cultures). And when an “argument” is about to arise I’m glad that my husband and I have made the decision right from the beginning of our marriage of not letting our decisions be ruled by “my culture” or “your culture” but the “Gospel culture”. We have made of God’s word our foundation and our place to go to where difference arises. 2.- Welcome the differences, with this I mean that there should be an open mind about the differences. Hey, my culture ain’t perfect and his culture ain’t either and I have learned to “reject” or give up on several aspects of my own culture and adopt the good ones from his. 3. Be willing to compromise. It doesn’t always have to be done your way. Give it up. After all, that’s what love is, isn’t? 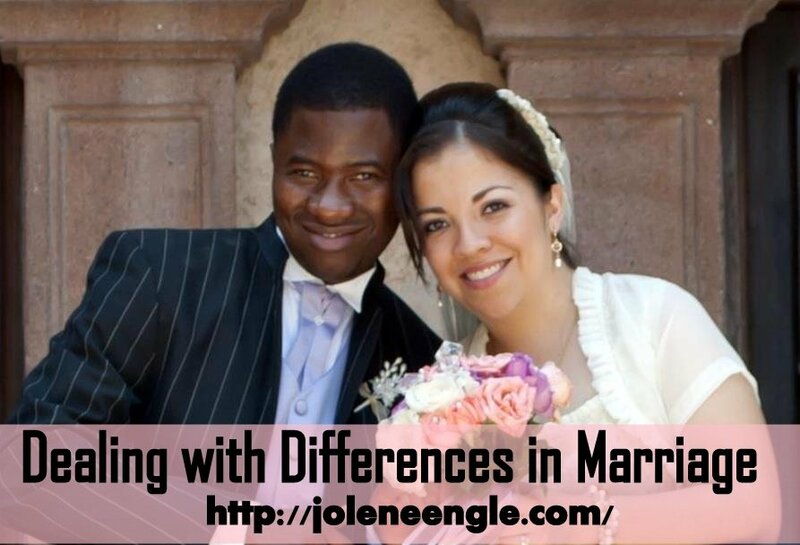 What kind of differences have you faced in your marriage? How have you solved them? Really loved this. In my own marriage my husband and I are very different (especially in our background and how we were raised) but we use those differences to compliment one another and that helps us to have a beautiful well balanced relationship. I love the wisdom you share here and I love that you give up the bad from your culture to adopt the good from his and that he does the same for you. I think this is wisdom that should apply to all marriages. Love this. I’m a British Nigerian born and raised in the UK, married to a Ghanaian. We have a whole load of differences too but thank God, the Lord and ourr love for each other are common factors. I love that… differences may be good, but they are still differences, and we have to be mindful of that…instead of putting down our differences, It’s better to respect the other person’s way of doing things, and learn to love them as they are instead of trying to change them.